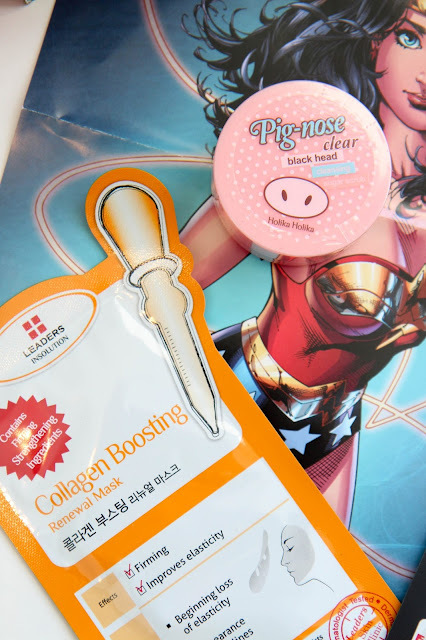 The Esian Korean Beauty Box has always been a fun little treat for me. I've been involved with beauty and makeup for years (just look at the age of this blog, yessh!) so it's fun to mix things up and try beauty products from other cultures. Plus I'm a sucker for a good subscription box. This month's box definitely surprised me. I wasn't expecting a huge, nice quality DC Superhero scarf as it popped out at me when the box opened. I'm all about superheros so I'll be sporting this for sure. Most of the boxes I've gotten are makeup only, so it was nice to see some fashion thrown in this time. This month's box came with four beauty bits. The Pig Nose Black Head Remover product cracked me up. All black head products I've gotten from this subscription always revolve around pigs. There's also a Collagen Boosting Renewal Mask. The masks I've gotten from these boxes have always been really nice, but not something I've looked for to repurchase. The Stylenanda Fresh Aqua Mist is the most intriguing product from the box and something I've really been enjoying using. I love a good face mist and this one is refreshing and light. The last beauty item is a panda themed warming eye mask. I'm obsessed with how cute and fun Korean beauty is! My biggest complaint is that the website is difficult to navigate. Ironically enough you can see my derpy face on the front page in a video I posted about my first box. But the site itself is hard to figure out what box to get and what you're purchasing. It takes some time to work to the pricing as well. There are two different beauty boxes available. The Spa box is $24.95 a month with a reoccurring subscription and the Glamour box is $59.95 for an every two month box. Since they're foreign beauty products it's hard to gauge if you're really getting your money's worth each box, but you definitely get a sizeable quantity of products to try. Ultimately if you're interested in experience different types of beauty products, this would be a subscription to try for a few months. But if you're trying to save your beauty budget for something really worth it, I'd suggest another subscription altogether since you can't be sure what you're going to get in this box and if it's worth the price. Honestly I find their snack boxes to be a much better investment and fun for the whole family to try some different snacks and food from other countries. So I'd definitely look into that! So kind of a mixed review. I love the box when I do get it, but I'm still on the fence about purchasing it long term. 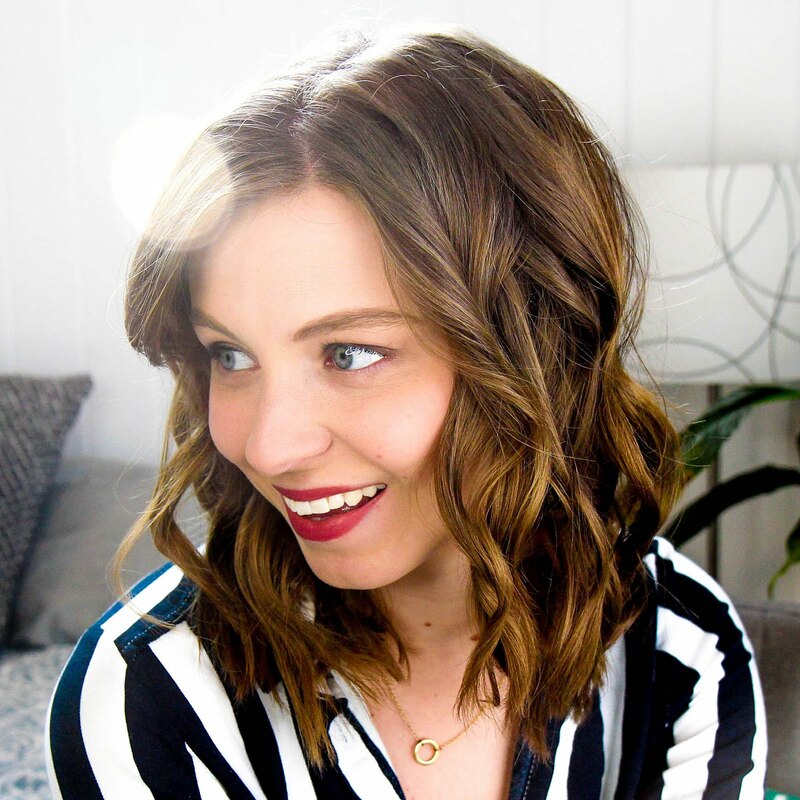 The products are always fun to play around with, but I've never really been swept away with a product that I had to repurchase. It's a fun gift for a beauty junkie or a little treat to yourself, but I wouldn't say everyone needs it in their life.